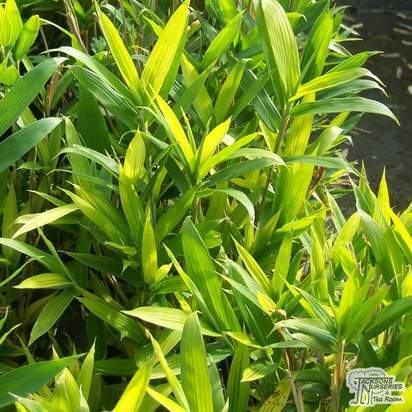 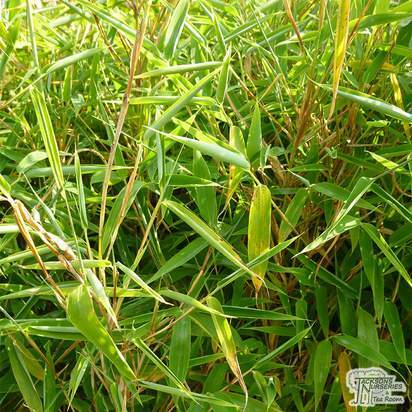 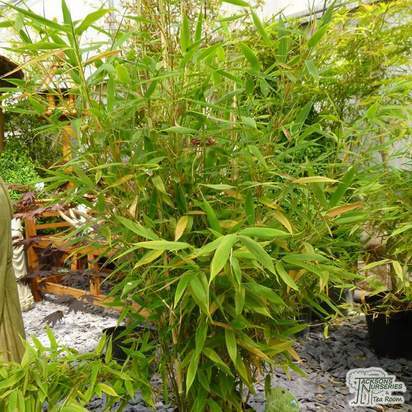 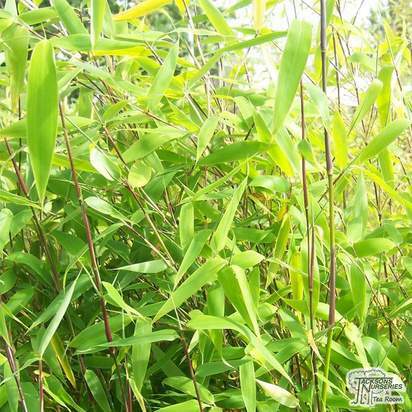 Bamboo plants, part of the grass family, have hollow evergreen stems or culms and come in two main forms: clumping and running. 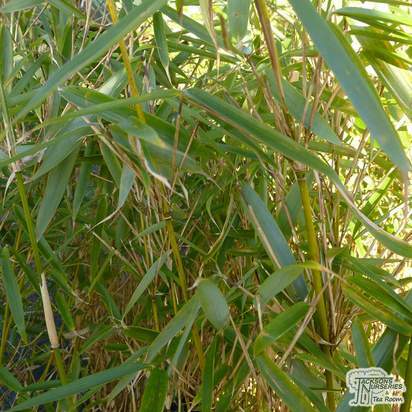 Clumping bamboos spread more slowly, as the growth pattern of their underground rhizomes is to expand the root area gradually, similar to ornamental grasses. 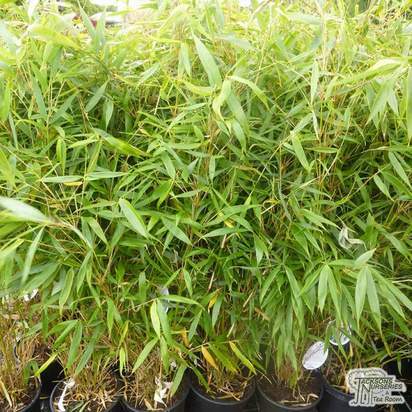 They can be used effectively for ornamental or rock gardens or as container grown plants; look for Fargesia and Pleioblastus varieties such as Fargesia Simba and Pleioblastus Distichus. 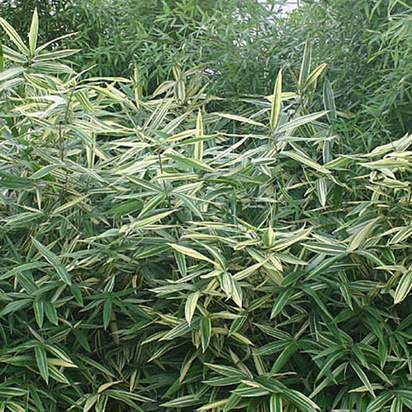 Running bamboos, on the other hand, can be extremely vigorous, making them well suited for creating a spreading windbreak or hedge. 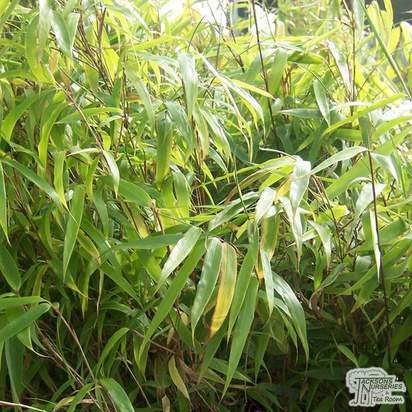 The canes of running bamboos are also sent up from rhizomes underground, but they spread more rapidly and widely, sending up new shoots to break the surface in different places. 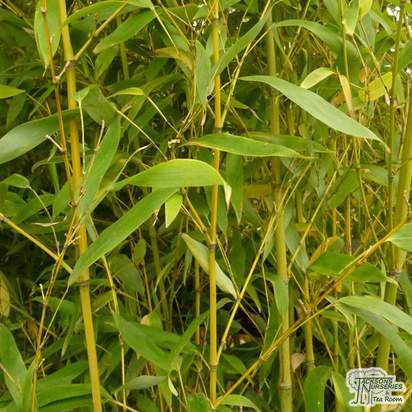 Varieties of running bamboo include Phyllostachys and Sasa. 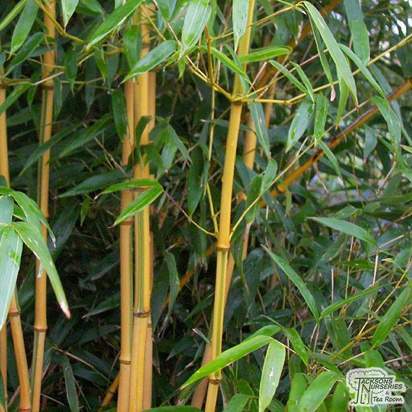 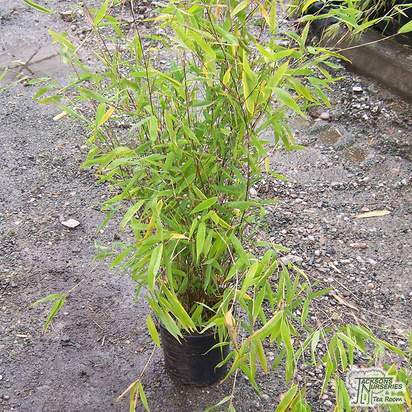 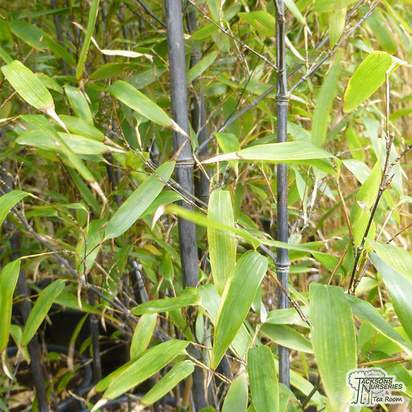 The Phyllostachys genus includes black bamboo plants and golden bamboo, whilst Sasa varieties include Sasa Tsuboiana and Sasa Veitchii.